Designed with simplicity in mind, this payroll software is easy to install, setup and use for first-time payroll software who may not know more about accounting and computer. 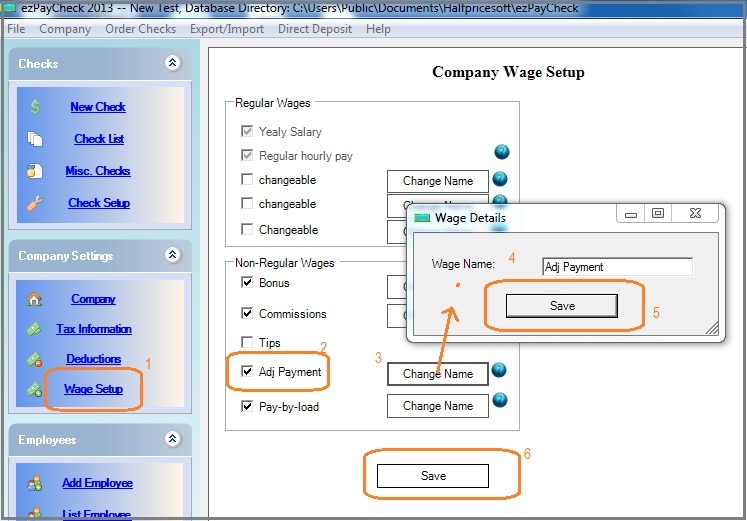 Small Businesses looking for ways to save money on payroll processing and tax reporting can try out ezPaycheck payroll solution free for 30 days from http://www.halfpricesoft.com/payroll_software_download.asp, with no obligation and risk. EzPaycheck is $89 per installation. We also launched 2013 and 2014 payroll software combo special offers for new customers who need to prepare year-end tax forms. New customers can purchase ezPaycheck 2013 at regular price $89 and get ezPaycheck 2014 at just $1. This offer is good from Dec 12 to Dec 31, 2013. 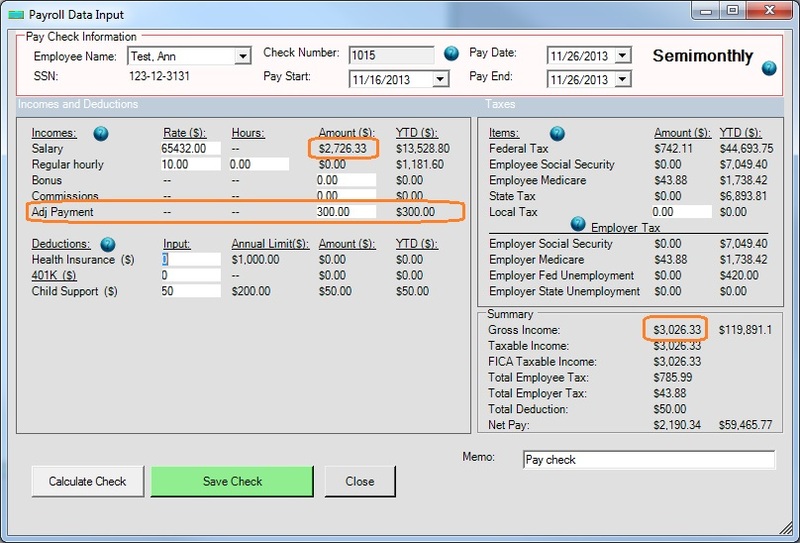 EzPaycheck payroll software automates paycheck processing for small businesses. However, if you generate a paycheck with mistake (wrong amount, wrong pay peroid or others), you need to delete this check and enter a new check. EzPaycheck does not allow users to edit a paycheck which may cause tax calculation errors. Followings are the step if you create a paycheck with wrong information. 2. Delete the wrong check and checks after it. - You can reset current check number from check setup screen. You can access this screen by clicking the left menu "Checks->Check setup". ezPaycheck payroll software speeds up payroll tax calculation, paycheck printing and year-end tax reporting. We just launched the year-end payroll software promotion for businesses who want to start computerized payroll software in Oct. New customer can now purchase ezPaycheck 2013 and 2014 combo version at just $99. The regular price of ezPaycheck 2014 is $89. Since IRS has not published the 2014 tax tables, ezPaycheck 2014 is not available right now. Customer will get 2013 key code once the transaction completes. The 2014 update package link will be sent by email before Jan 1, 2014. - EzPaycheck allows users to customize check layout, change font, add the second signature line and add extra text fields now. Option 1: If you have NOT installed ezPaycheck on your machine before, you can click here to install it directly. Step 1: If you need to keep your data, please back up your database first. Otherwise you can skip this step. Your data should be safe during this process. However, ezPaycheck 2013 may not be able to transfer your data to the new folder if your machine is with higher security settings. We would like to suggest you backup them to a folder or USB disk you can access easily. You can refer to this article for more details on database backup. Step 3: Start ezPaycheck 2013. If you cannot find your company database, you can use the restore function to restore your backup file. 2012 Michigan state tax rate changed on Oct 1, 2012. The new income tax withholding rate is 4.25% and the new personal exemption amount is $3,950. And the new pension and/or retirement benefit withholding rate will also change to 4.25%, however, there is no adjustment to the monthly pension deduction amount. Halfpricesoft.com has released the new ezPaycheck payroll software with the updated income tax tables. Current paycheck software users can download the new update package from halfpricesoft.com and finished the tax update process in just a few clicks. Hoping to keep its small-business payroll software affordable for every size company in the continuing recession, We launched 33% off promotion on ezPaycheck. With this offer, business owners can purchase the full version paycheck software at just $59, which is 33% off the regular price $89. 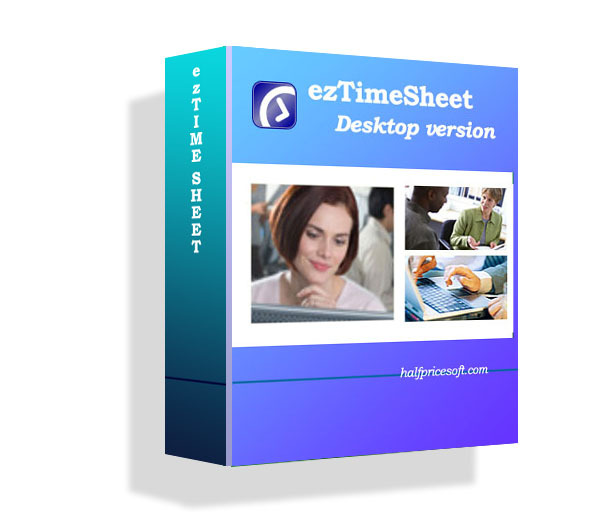 Users can also get the ezPaycheck 2012 update package on Form W2 and W3, which is scheduled to release in December, for free. EzPaycheck developing team recently improved this in-house paycheck software with the new YTD feature which makes it simple and easy to change payroll software or begin using payroll software for the first time - even for companies in the middle of their fiscal year.